Stand For Trees. Think of it as a global, grassroots intervention to halt deforestation. Stand For Trees empowers everyday citizens – all of us – to take direct action to protect endangered forests and reduce the impacts of climate change. Every time you buy a Stand For Trees Certificate, you help local forest communities around the world keep a specific forest standing and prevent a tonne of CO2 from entering the earth’s atmosphere. You buy a Stand For Trees Certificate — a unique, high-quality, verified carbon credit that protects a specific endangered forest and offsets a tonne of CO2 from entering the earth’s atmosphere. Because of your purchase, forests are left standing to do what they do best — store carbon, produce oxygen, provide habitat, and support local communities. Stand For Trees Certificates are high-quality verified carbon credits based on the proven REDD+ model and meet the rigorous standards set by the Verified Carbon Standard (VCS), each of which is a Verified Carbon Unit (VCU) issued by VCS. 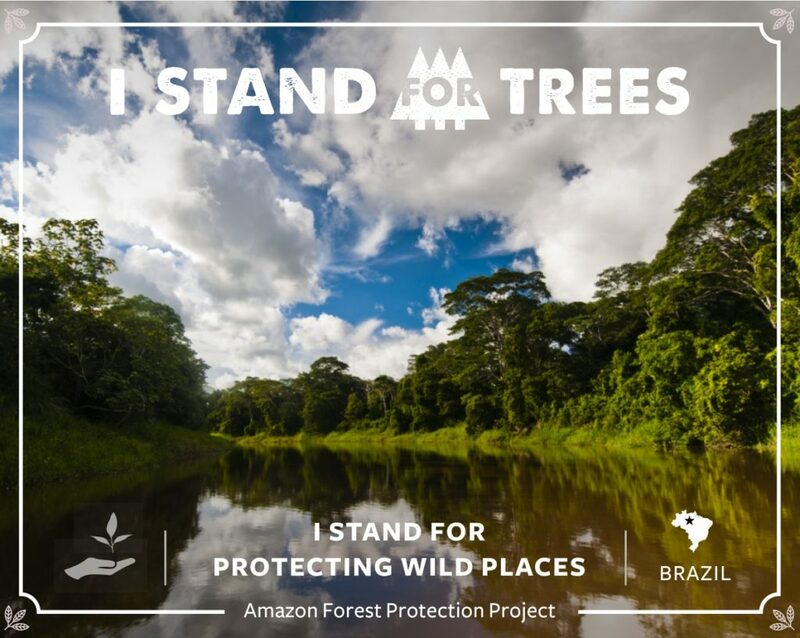 Further, all Stand for Trees projects have attained or are committed to attaining verification to the Climate Community and Biodiversity Alliance standard, a partnership of leading NGOs that includes CARE, The Nature Conservancy, and The Rainforest Alliance. The credits are registered on the world’s largest environmental registry services provider, Markit, and meet Code REDD’s peer-reviewed international Code of Conduct. What if we all stood up for trees and saved a tonne? The term ‘tonne’ represents a metric ton – a unit of measurement equal to approximately 2,205 pounds or 1,000 kilograms. That’s a lot of CO2 that would otherwise be released into air, contributing to the man-made greenhouse gases that are accumulating and accelerating climate change in our lifetimes. Visit Stand for Trees online for more information! Let us welcome DroneSeed–a new solution to precision reforestation! 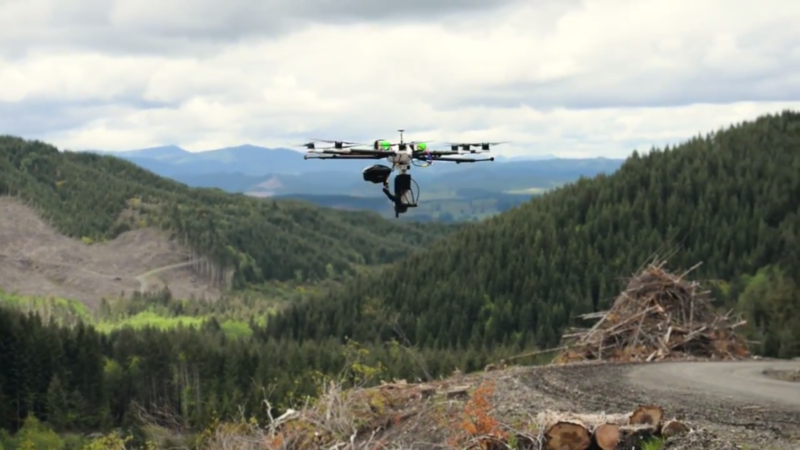 DroneSeed is working with commercial foresters to make reforestation more efficient. Their team offers a one-stop solution of drones capable of planting tree seeds and spraying fertilizer and herbicides to keep trees healthy. Millions of acres of forestland are currently under-utilized. The availability of dependable workers, and the safety concerns of rough terrain, prevent trees from being planted and cared for. DroneSeed is presented as a scalable solution to addressing this problem. Could this be the future of a faster, safer, and more efficient forestry? CEF FFT: Using drones is perhaps more efficient, but this isn’t to disregard the freedom we have to plant seeds and plant trees. If we all planted even a single seed and tree each week, what sort of transformation would we expect to see?